Some 18 years ago a young German metal band saved me from the swampy morass of 1990's American modern metal. That band was Edguy, the album was Mandrake, and the man behind the microphone was Tobias Sammet. Around that time, Sammet introduced his side project Avantasia featuring a host of guest vocalists and releasing The Metal Opera (2001) and The Metal Opera Part II (2002). 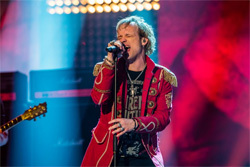 Intended to be a one-off gig, Avantasia has morphed into the premier heavy metal rock opera collective that has generated many more albums and fostered many clones. Now Sammet and friends return with Moonglow featuring guest vocalists Geoff Tate, Ronnie Atkins, Michael Kiske, Jorn Lande, Eric Martin, Bob Catley, Hansi Kursch, Mille Petrozza, and Candice Night. Additionally, the album has a theme. As Tobi puts it, "Each song is a chapter based upon a creature that is thrown into the world but fails to find its place. It cannot connect with that environment and turns instead to the dark in the hope of finding shelter there." To start, and frankly, I'm a huge Tobias Sammet and Avantasia fan. Expect little objectivity from this review. I loved the album, plain and simple. Fundamentally, an Avantasia song turns upon Sammet's skill song craftsmanship. Beginning with a piano line, a melody, and his voice, Sammet creates epic arrangements of melodic and symphonic heavy metal that excite and entertain. His songs have both breadth and depth as he weaves moments of sweet acoustic or vocal lightness with bombastic symphonic power metal. The musical canvas is lavish and intricate, teasing your ears and drawing you into his magical musical world. Essentially, if Avantasia was a permanent troop, they would be fixtures on the Great White Way of Broadway. The Sammet act has the all drama and power of the grandest musical theater. So there you have it. 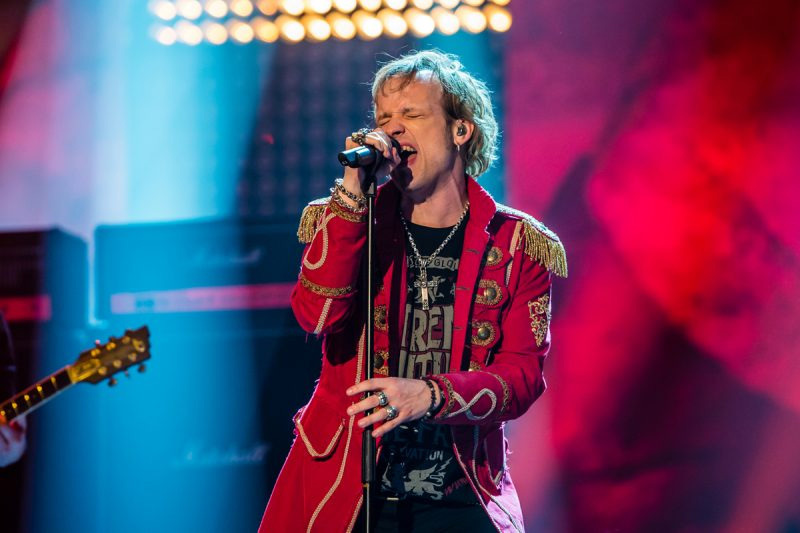 I liked everything about Moonglow, simply wonderful and entertaining Tobias Sammet and Avantasia. But to mention a few songs. For the grandeur of a sweeping musical epic, listen for Ghost In The Moon (Sammet's only solo vocal performance), The Raven Child, or Alchemy, which features some large orchestration in the last quarter. With Invincible, you get an inspirational symphonic piano ballad featuring Geoff Tate. 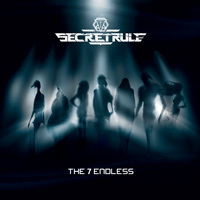 With Book Of Shallows, you'll hear some guitar driven power metal with five vocalists: Sammet accompanied by Hansi Kursch, Ronnie Atkins, Jorn Lande, and Mille Petrozza. Candice Night joins Sammet for the title cut, Moonglow, for some symphonic heavy metal rock. Quite catchy. Perhaps just because he can, Sammet does a cranked up melodic metal cover of Maniac from the hit 1981 movie Flashdance. It's all good. 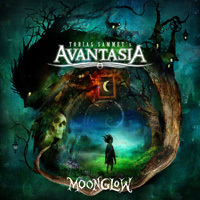 Avantasia's Moonglow is another fantastic album of melodic and symphonic heavy metal from Tobias Sammet and his cadre of guest vocalists. Get it. Quite recommended.